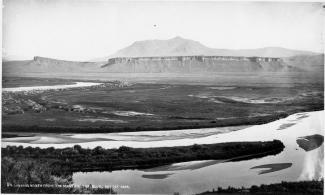 What was it like to live in Grand County in the 1800's or the early 1900's? . They were perched on the side of the road in Big Horn Park peering out the window at twilight as their eyes moved across the Troublesome Valley below and then up to the high mountains of the Gore Range. From this distance it was obvious why early settlers, having trouble forging the creek, had appropriately chosen that name for the valley. Paul pointed out the window to the right and said, "That is where my great-grandparents lived." 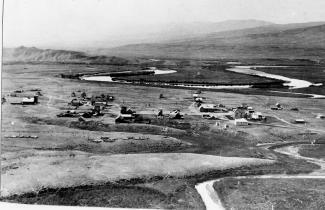 His ancestors had first homesteaded in Wray, Colorado before moving to Grand County around the year nineteen hundred and eighteen to ranch up on the Gore Range. They headed down the gravel road to the ten acres of land just purchased not far from his grandparent's property. "Legend has it," Paul continued, "that on a bright, summer morning, Henry rode up to the timberline above his cabin to cut down the last load of trees needed to build a barn. she dressed and left by horseback with lunch for her husband. When Clara reached the top of the ridge, she could see Henry preparing to fell the last tree. Excitedly she headed up a final hill and dismounted with the lunch in her right hand. Climbing quickly, Clara called to Henry distracting him from his chore. "Then suddenly from high atop the ridge above him," Paul added, "Henry heard the terrifying cry of a lone, grey wolf. The scream was shrill to his ears, and his heart stopped beating for a moment before he looked around to see that the tree had crashed instantly to the ground. All was silent on the mountain as he descended to find Clara dead beneath the branches of the tree with the lunch still in her right hand. It had happened so quickly that Henry never heard one sound escape from Clara's mouth. And even today as the morning sunlight outlines the evergreen trees on Elk Mountain, you can see the silhouette of a woman's face with her hair flying wild and free in the wind and her mouth open wide, crying out for help. "They called him O'Grey", he added, "but they never saw or heard from that wolf again." Life in Big Horn Park in the nineteen-eighties when they bought the land was still challenging; no electricity or running water was available to provide creature comforts to local inhabitants. Over the years, while a house was being built, they washed in a small stream of water that trickled down across the property from Monument Creek. Neighbors used kerosene lanterns to illuminate the night and gasoline generators to pump water from wells. Bears often tried to enter basements for food, and mountain lions crawled onto decks to devour small dogs or cats. 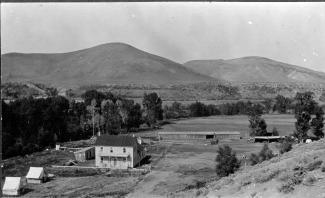 Only one or two hardy families lived in Big Horn Park in those days through the long winters. Skis provided a way of escape in the event of a winter blizzard that often dumped snow deep enough to cover the tops of the three-wire fences. And then there was light. Paul flicked on a switch in the house and radiance encircled them, startling the cats and engulfing the room. That marked the beginning and the end of time; old ways faded and new, exciting possibilities emerged. It was almost Christmas of the year two thousand and two, and the first holiday up in Big Horn Park was beckoning. If not for the electric heat installed during the summer, the trip would have had to be postponed for another year. Only by chance can the mournful howl of a lone, grey wolf be heard today, but the cat cries of the fox emerging from a den can still awaken a soul at midnight in the summer or the yipping coyotes can be heard as they call to one another in the silent, winter night. And the tracks of a lonely, mountain lion lopping across the hillside beside the cabin can occasionally be found in the snow. The experience quickens the heart and revives the spirit as the Jeep is loaded with suitcases and cats, and a turkey with all the trimmings. From Utah across the high, barren desert and up the winding Trough Road the old Jeep transports the family to fulfill the dreams of a lifetime. A slender sled is removed from the Jeep as the attached silver bells jingle. Supporting their bodies against the door, the man and woman grab their snowshoes to slip them on and tie the leather straps securely. Cats and turkey dinner are hauled through the pristine snow like times of old to the garage door. A blast of bitter cold air escapes from the house when the door is opened, chilling the bones, but the electric heat will melt away the cold air while they climb the low hill to inspect tracks left in the snow by tiny creatures. Soon flickering lights from a fresh, Christmas tree on the second floor loft cast playful shadows across the living room below. In a small room above, two single beds snuggled against the outer walls are spread with warm comforters. All manner of toys, games, and bright objects decorate the room, awaiting a grandson's arrival. For the adults, the smell of the turkey and the taste of pumpkin pie revive childhood dreams of holiday celebrations of long ago. Laughter and pleasure emerges from the snug cabin and records are played on the old turntable chanting, "Silver bells, silver bells, soon it will be Christmas day". Thus begins a new life for them; not only can the family survive "up on the Troublesome" again like their ancestors from the shadowy past, but a livelihood can be earned. As summer arrives a light will flash, a screen will brighten, and online learning will occur as distance education courses will be provided to students in Maine and other states from a small cabin located over eight thousand feet above sea level in a remote, northern corner of Colorado. High on poles waving, waving proudly over town. Daddy's with me. He said to me wait, wait I'm going with you. Daddy never joins crowds and there is a big crowd. It seems the whole town is gathering. Some people are waving American flags. There is music, cheering, singing and dancing. Daddy has brought along with us one of his track railroad flares. He before has only lit one of them for our family to celebrate on Fourth of July. Japan has surrendered. Japan has surrendered. Hurray! Hurry! The war is over. The lights dimmed; mothers had already found their seats after coming from the classrooms where they had put makeup on little children’s faces and checked their costumes to make sure angel wings and halos were secure and costumes were on right side round. I was at the piano, music and script lined out. The gym was full to the brim, every seat taken, with folks lining the sides and back walls, for the whole town had turned out. Early birds got the seats! 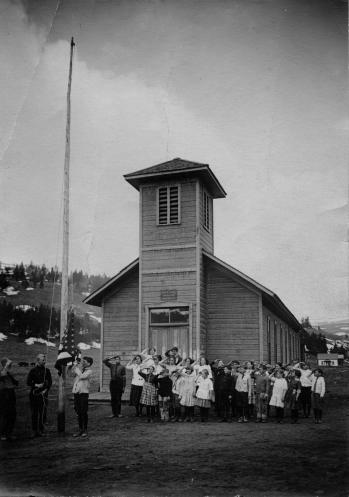 Christmas wasn’t Christmas in the Fraser Valley unless it included the program at Fraser School (now the Town Hall). I began the overture and chatter stopped. I had played for this event for ages, starting in 1958. High school students were gone by then, moved to the new Union High School in Granby, but 7th and 8th graders were still there. And in 1958, the first kindergartens in the district were established. It was a time of excitement and anticipation, of fun, and of panic? Well, no, not panic, for the teachers were beautifully organized. The program was chosen during October. Each teacher had a specific job. For instance, Martha Vernon, the art teacher, did sets. Helen Hurtgen was responsible for dialog. Edith Hill did costumes. Nancy Bowlby was in charge of the music. Others coordinated the whole. And I played the piano, with Nancy sometimes accompanying me on her violin. Mothers were asked to contribute sheets and any fabric they could spare. Patterns and material for costumes went home to be sewn into various sizes and shapes -- angels, gingerbread men, knights or royalty. In the gym, we stitched on finishing touches, bright patches to decorate jester outfits, townspeople, and such, while watching various groups practice. Bits of tinsel became crowns, tinfoil turned into wands, cheesecloth into wings. Lace scraps and sequins added color and “class.” The budget was extremely minimal at first, but over the years, more money was directed to Christmas programs. Instead of old sheets, we could buy cotton fabrics, velveteens, sometimes satin. One year I even stopped by a furrier’s in Denver and begged some fur scraps. Were we uptown then! We had fur trim around the necks, cuffs, and hems of the costumes for the prince, queen, and king. The day before the play, PTA mothers gathered in the gym to fill brown paper sacks with an apple, orange, nuts, and candies, provided by R. L. Cogdell from his grocery store. Every single child in school took part in the play, as a class, except for those with speaking parts, of course. Fraser grew and grew, then as now. Soon the 7th and 8th grades moved to Granby. Then the 6th graders went, but the 4th and 5th graders handled the leads neatly. Our stories were usually simple Christmas tales, but sometimes we tackled ambitious efforts such as the Nutcracker Suite or a version of Gilbert and Sullivan. The only children not included were the Jehovah Witness youngsters. They couldn’t be in the play and they couldn’t come watch it either. We all felt very sorry for them, because everyone had such a wonderful time. Their teachers tried to give them special projects to entertain and interest them while they sat off in a corner or in their classrooms. The plays always went well. Tiny kindergartners came out onto the stage, to stand behind the colored lights. They knew their song perfectly in practices, but I have to admit that a number of them usually stood silent, stunned by that mass of faces looking up at them. No matter. They were darling. “Hi, Mom,” some were sure to call. “Mom” beamed. There might be a glitch or two every year. For instance, little Diane was chosen to do the Arabian dance in Nutcracker Suite. Her parents were dark, as she was, and she was slender as a dancer. Trouble was, she didn’t have an ounce of grace in her body at that stage of her life. I thought Nancy Bowlby was going to have grey hair before she got that child moving properly. But the night of the program, Diane looked like Anitra herself, doing her exotic dance. One year the king jumped his cue and entered on stage. His first words were, “Did I miss anything?” The prince muttered, in an aside, “Yes, three pages!” But the cast went on as if nothing had happened, while down at the piano I sat, flipping pages rapidly, trying to figure out where the dialog was now. Another year, our son James was to take part in a minuet. “Uck! I have to touch a girl?” By the greatest good fortune, he broke his leg and got to be a guard at the palace door, standing at attention on crutches, while another boy took his place. (I think he did that on purpose.) Songs and parts were adapted to the talents of the students. We had five boys once, who couldn’t talk, dance, sing -- anything. So they wore monks’ costumes and filed on stage, supposedly singing a Christmas carol, but supported strongly by the cast present. Another time, Twyla’s parents couldn’t come, so Miss Vernon took her home to get ready. Now, Twyla usually looked like a dirty ragamuffin, but after a bath and hair wash, she truly looked like the angel she portrayed. For the finale, the entire school came on stage to sing a last carol, with the audience joining in. Then Santa showed up to distribute the goodie sacks, and the great night was over. Coming out into the quiet night was a wonderful feeling. Sometimes we moved through drifts of new falling snow; sometimes the sky was filled with icy stars. Gay lights showed in windows throughout town. We never talked much on the way home, as we thought of the play, the success of everyone¹s efforts, and how happy the children had made their parents and families. My last program was the first year after the new school was built. It was fun still, but the school population had grown enough that it was impossible for whole classes to participate as one. Things weren’t the same as they were in the little old school. The town of Winter Park was first settled in 1923 and incorporated in 1978. 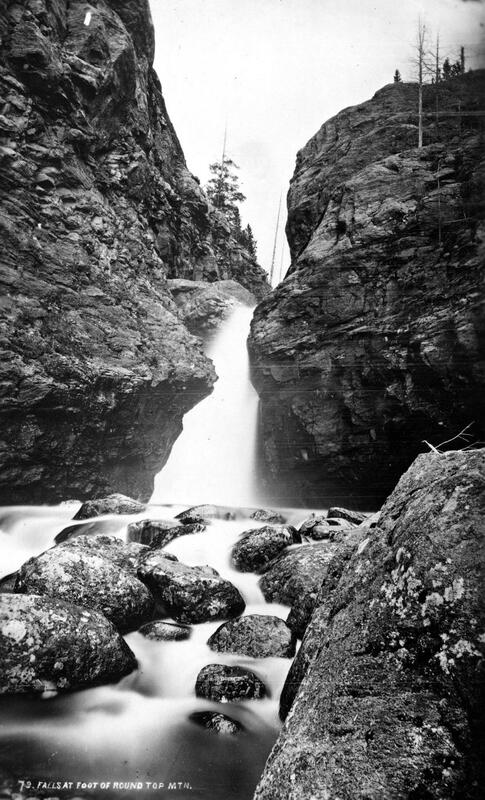 It came into existence as a construction camp during the building of the Moffat Tunnel. The west portal is located here, hence the original name of West Portal. As early as 1929 hearty winter sports enthusiasts were getting off the regularly scheduled trains there to ski the trails that were being developed. Regular weekend service on a special ski train began in January 1938. That same year, the U.S. Forest Service gave permission to the City and County of Denver to develop land near West Portal for winter sports, constructing ski-tows and trails. 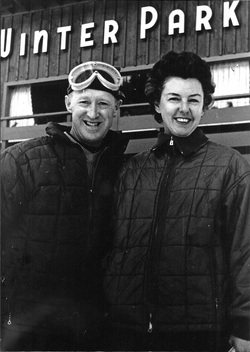 Winter Park ski area was formally opened in 1940. With the consent of postal authorities, West Portal’s name was changed to Winter Park to publicize the ski area. Benjamin F. Stapleton, the mayor of Denver at the time, championed the cause of the name change to help publicize the winter sports of the area. The town has now grown into a classic resort town and the ski area management has been recently turned over to the Intrawest Corporation by the City and County of Denver. Grand County often attracts adventurous spirits who prefer its splendid isolation to Wal-Mart and fast food. Others, who never make the leap of faith to live here, enjoy it as a familiar playground, returning regularly to enjoy its vast mountain ranges and unlimited outdoor opportunities. It has to come many as a surprise to learn that Grand Lake, Colorado - nestled next the Continental Divide at over 8,300 feet elevation - has had a yacht club for over one hundred years! When this adventure began, back in 1902, there was only a stage road into the southeast corner of Grand County over Berthoud Pass. Grand Lake is situated next to the entrance of Rocky Mountain National Park, at the far northeast corner of the county, with the rugged backbone of the continent directly to the north and east. 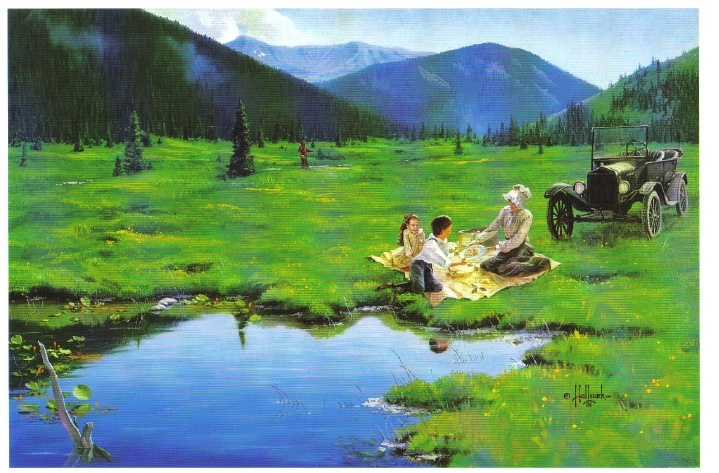 At the turn of the twentieth century, it was a summer vacation spot with few full-time residents. Summer visitors and full-time residents alike recognized the grandeur of the their surroundings, and Grand Lake very early became a summer home to many of Denver's elite, and the summer business they brought helped support the local economy. It was a few enthusiastic Denverites with a keen interest in Grand Lake and sailing who organized the Grand Lake Yacht Club over 100 years ago. The founders included Richard Crawford Campbell, who married Senator Thomas Patterson's daughter and became the business manager of his father's newspaper, the Rocky Mountain News; William Henry Bryant, a Denver lawyer who was active in both sailing and Colorado politics; J. Fermor Spencer, a close friend of Mr. Bryant and long-time treasurer of the club; and William Bayard Craig, who enjoyed a broad education and had been the Chancellor of Duke University before he became interested in "acquiring land in Colorado." By the end of 1902, according to Denver papers, "the first bona fide yacht club between the Mississippi river and the Pacific ocean" was in operation. An atmosphere of excitement and pageantry swept over Grand Lake during the early Regatta weeks, when the Yacht Club held its annual races. In Denver, The Friday Evening Times proclaimed during August of 1904, "Yachting season is here", and went on to describe the "enthusiastic cottagers gathered on shore" around Grand Lake to cheer for the yachts. In 1907, Regatta week included yacht racing as well as foot races, donkey races and bronco busting. 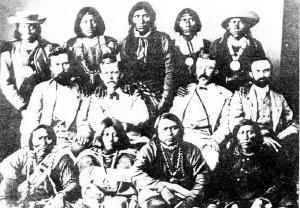 When the yacht races ended, the boat captain who won the most races had earned the Colorado Cup. The Grand Lake Yacht Club's small sailing fleet during Regatta week - three days of racing during mid-August - sometimes included only a handful of boats during its first decade or so. Still, according to one observer, "the organization has more spirit to the square foot than I ever saw exhibited before." Races on the first day of Regatta week, 1905, illustrate the enthusiasm well. In the hotly contested first race of Regatta week, Robert Campbell's Highball, built in Racine, Wisconsin, tossed her two-man crew into the icy waters of Grand Lake when she capsized while running in second place. Shortly after, the third place yacht, Duchess, went over too, leaving the Chicago-built Dorothy II captained by Commodore Bryant the first and only boat to cross the home buoy. Today, Dorothy O'Donnell O'Ryan, Commodore Bryant's granddaughter, maintains her family's summer home in Grand Lake. In 2002, she published Sailing Above the Clouds: An Early History of the Grand Lake Yacht Club, which chronicles the club's first 50 years. 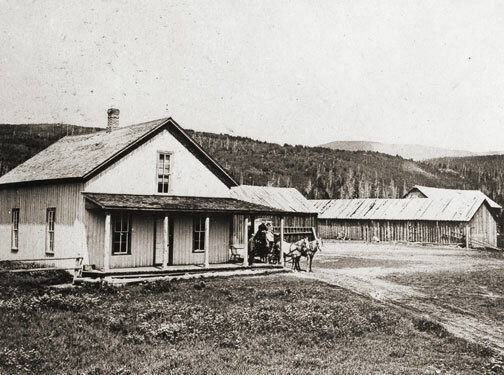 Her Colorado roots go back to Colorado territory's last, and the state of Colorado's first Governor, John Long Routt, who was appointed by President Grant in 1875, the year before Colorado became a state. 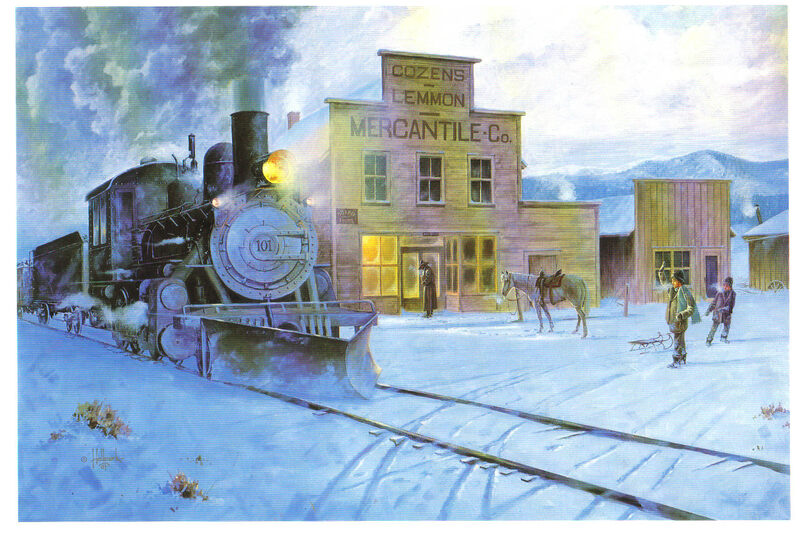 Knowing the early history as she does, and the difficulties inherit with mountain transportation, O'Ryan marvels at "the logistics" of bringing sailboats built in Racine, Wisconsin or Chicago, Illinois over the Continental Divide into Grand County, Colorado by rail and stage road. Home-built crafts, both crude and highly crafted, competed as well. Many of the first home-built boats were modified rowboats, "with homemade sails and masts." Observing the annual Regatta week in August of 1904, though, Arthur Johnson called attention to "the Jessica, a 16-foot boat belonging to the vice-commodore and built at Grand Lake" that sported "a sail that would have done credit to a venturesome Lipton on the high seas." If a sailboat in Grand Lake during 1904 "done credit to a venturesome Lipton," Sir Thomas Lipton himself returned the favor tenfold in 1912. It so happened in 1912 that Lipton was traveling by train across the United States and would pass through Denver on his journey. Probably, Sir Thomas had met the well-traveled and enthusiastic yachtsman, William H. Bryant (Grand Lake Yacht Club Commodore) at the New York Yacht Club. Continued correspondence between the two resulted in the Grand Lake Yacht Club inviting Sir Thomas to the Denver Club for dinner in December of 1912, sponsored, of course, by the Grand Lake Yacht Club. Before he left that evening, flattered by the warm welcome he received, Lipton had proffered a silver cup to the Grand Lake Yacht Club. Lipton became a yachting icon during the early 20th century. His sportsmanship was nearly unparalleled in the sport and he spent most of 30 years and millions of dollars trying to win the America's Cup. Thoroughly devoted to yachting as a sport and highly capable in the art of advertising, Lipton spread his Lipton Cups "around the globe" to promote the sport and himself. His gift to the Grand Lake Yacht Club energized the young organization. Today, the boathouse of the Grand Lake Yacht Club still reminds visitors and members of the organization's heritage. Built in 1912 by Grand County pioneer Preston Smith on land donated by fellow pioneer Jake Pettingell, the lakefront log structure sits in the midst of magnificent mountain scenery, with the dramatic peaks of the Continental Divide to the west and north and the Never Summer mountain range to the west. As the club matured, it began to offer more races to more members and guests throughout the summer season. The original Regatta week still exists as the most important, and festive, event. Races were added, though, in 1912 with the Adams Cup; in 1914, the Lipton Cup was incorporated; in 1923, the inventor of the Sunshine Lamp (which Coleman Lanterns later bought out) presented the Hoffstot Cup; and in 1925, Dorothy Bryant O'Donnell offered the Bryant Cup in honor of the late first Commodore, W. H. Bryant. Well over 20 cups or trophies now highlight the Grand Lake Yacht Club's season. Throughout its evolution the Club has remained as unique as the dramatic physical environment that surrounds it and the people who envisioned and created it.